Woodland Fairies series with 9 dancing fairies. Yellow and Pink Owls with wind up music box. Every mobile is a one-off original design, no two are alike with variations in colours and materials. Special care goes into every piece to make it unique and special. 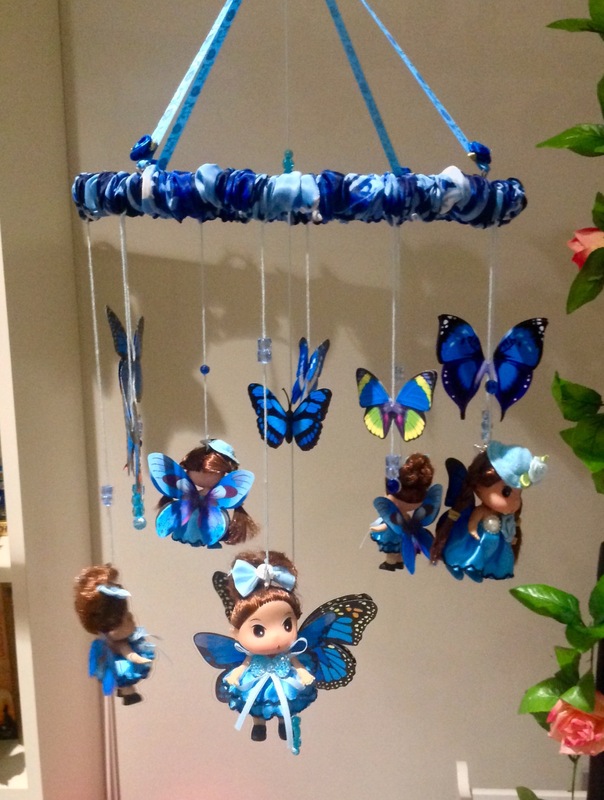 Delight someone with a handmade gift for a new baby or a ceiling mobile that will last years for an older child and spark their imagination as the fairies fly around the room at night bestowing kisses on those they watch over. Each mobile comes packaged in a gift box.